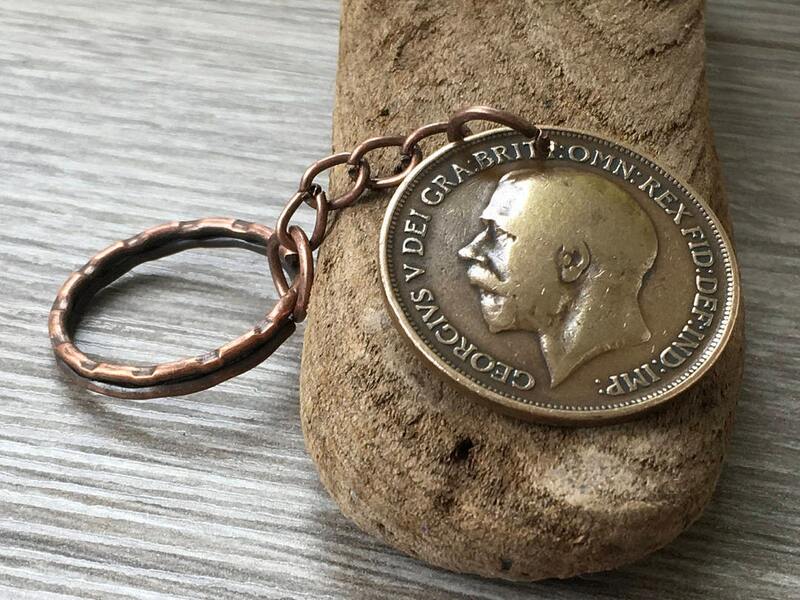 103, 104 or 105 year old English penny coin keyring, (choose which year you would like) the penny is dated 1914, 1915 or 1916 with King George V on one side and Britannia on the other side. 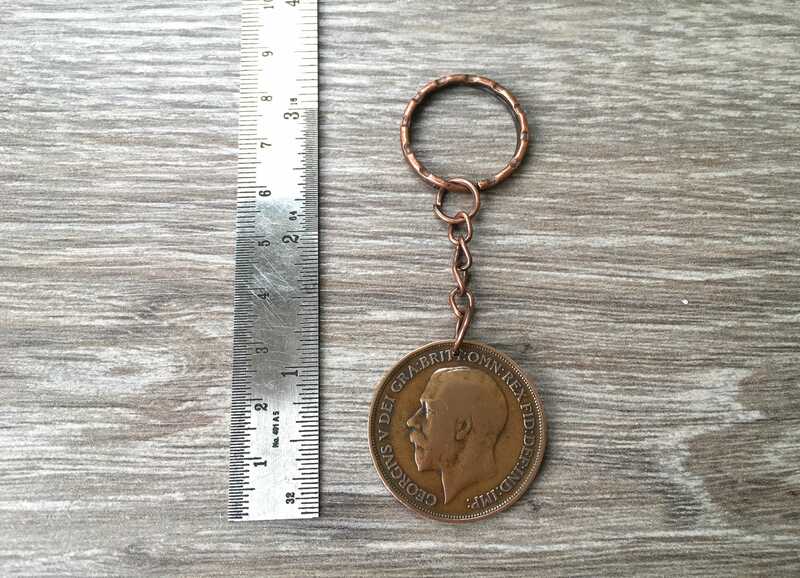 It was in circulation during the First World War. 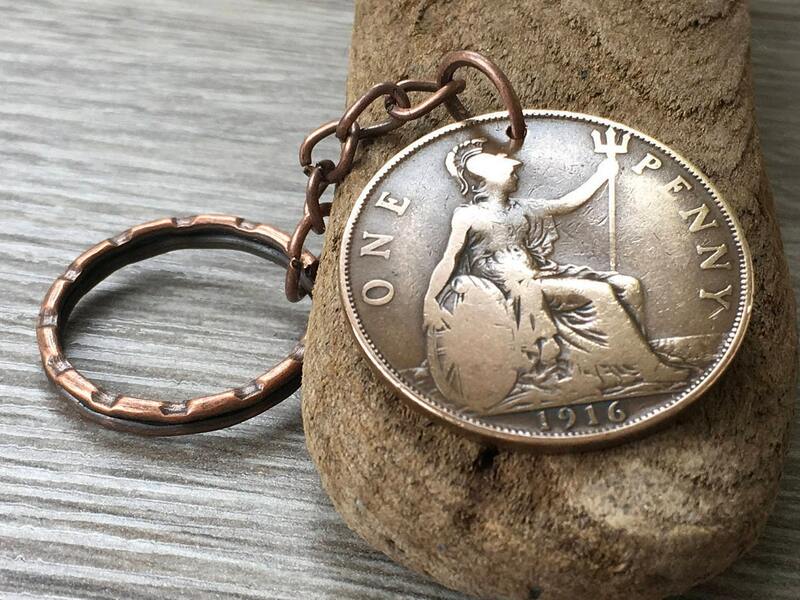 An ideal gift for a man or woman on their 103th, 104th or 105th birthday. 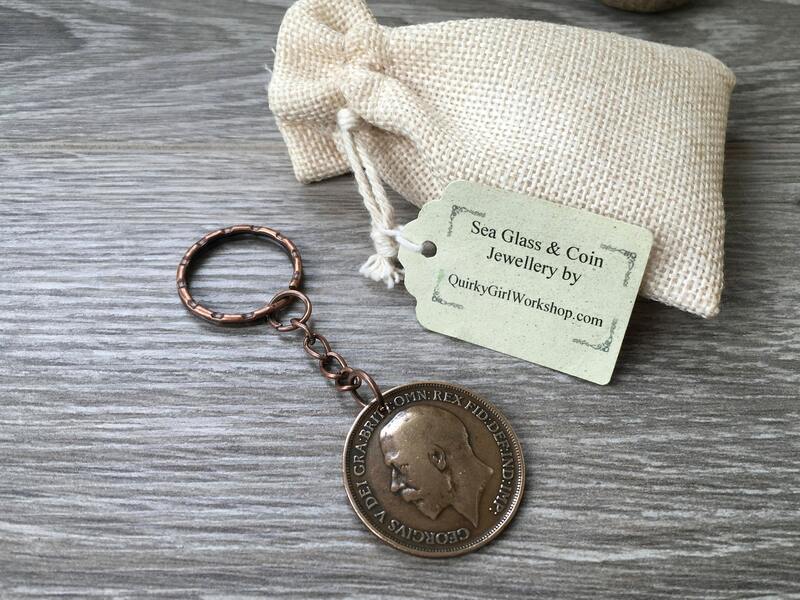 Would also make a great gift for the teacher, retirement gift.